I want to share my concerns regarding the way Rav Hershel Schachter’s shiur (lecture) at the RCA convention is being reported. In Rav Schachter’s shiur about ordination of women he did not, chas ve-shalom, equate this issue to the three cardinal sins and yehareig ve-al ya-avor (better to be martyred than violate them). Rav Schachter wished to communicate that issues defining meta-narratives of the community need to be viewed through a lens that recognizes their social/communal impact. Women’s ordination is not just an issue of serarah (forbidden authority); the major concern regarding ordination of women is the challenge to the social/halakhic fabric of the Orthodox community. This is what Rav Schachter called in the shiur: harisus ha’das (destruction of religion, overturning religious norms). Rav Schachter cited other examples, the use of a Shabbat bus to synagogue. While one may be able to obviate any particular issur (prohibition) to such an initiative one must be mindful of the fact that such an initiative, if institutionalized, challenges the ideal of Shabbat and how it is celebrated within the Orthodox community vis a vis the Conservative and Reform. The same is true for the responding to the issue of ordaining women. It is not just an issue of a particular halakhic issur; it is the challenge to the fabric of what defines Orthodoxy in contrast to other movements. Therefore it requires a response which is reflective of more than dealing with a particular issur. I was also present for the post-shiur conversation. The question that was raised after the shiur was that if serarah is the key factor, why does RIETS accept and ordain geirim (converts) when there would be an issue of serarah for geirim as well? If there is no ordination for women, there should be none for geirim. The answer reported on a blog was as disturbing as the confrontational manner in which the question was asked. Rav Schachter’s comment that the Rav (R. Joseph B. Soloveitchik) had no problem with RIETS accepting geirim for semichah and that he, Rav Schachter, takes issue with that position of the Rav is not reflective of the key idea that Rav Schachter wished to communicate. In the post-shiur conversation, he acknowledged that since the YU semichah program ordains many who are not going into the pulpit (education, chaplaincy, kashrut, kiruv, or professional fields outside the context of Jewish communal work) the Rav was not concerned about the issues of serarah for geirim entering the rabbinical school. Rav Schachter felt this was different for women where the entire purpose of ordination is to provide them with the credentials to be “pulpit rabbis”. He then reiterated the issue of harisus ha’das. 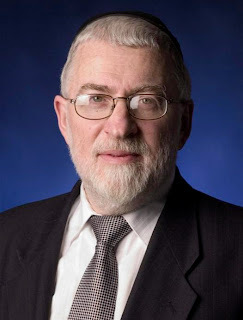 Rav Schachter has single handedly empowered ORA to do their holy work of helping agunot. Their success of freeing 130 agunot is directly related to the rallies Rav Schachter has attended, the rallies he has encouraged students to attend, the funds he has personally donated, and the funds he has personally solicited. He has done more for this women’s issue than anyone else. His shiurim to women on Sunday mornings was the forerunner to Midreshet Yom Rishon. Delegitimizing Rav Schachter on blogs and in conversations will not help advance the cause of expanding the role women play in our community. I believe that having an open, respectful conversation with a gadol who deeply cares about our constituency is the right thing to do and can be transformative on both personal and communal levels.